Zoledronate (also called zoledronic acid) is a powerful type of bisphosphonate. Bisphosphonates are used to treat osteoporosis and Paget's disease, and to prevent some forms of cancer from spreading in the bones. Your bones are in a constant state of change. As new bone is added by cells called osteoblasts, old bone is dissolved by cells called osteoclasts. 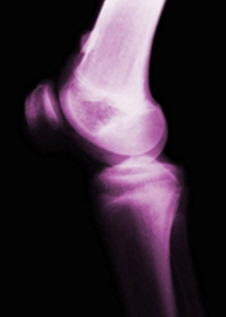 Bisphosphonates help to prevent the osteoclasts from dissolving (or resorbing) your bones. Zoledronate is given directly into your arm via a drip. This is called intravenous infusion. It takes between 15 and 30 minutes and is done every one or two years. reduces bone pain in people with bone disease. Some people have flu-like symptoms after their first treatment of zoledronate, but apart from that, side effects aren't common. When considering zoledronate treatment, it's important to balance the small risk of side effects against the much greater risk of a major fracture. Flu-like feelings – About 30% of people have a flu-like feeling after their first treatment. It usually lasts two to four days but can occasionally last longer, sometimes with muscle or joint aches. This is usually treated with paracetamol. The chances of this side effect happening after the second or third zoledronate infusion is much lower (about 3 to 4%). Kidney damage – People with severe pre-existing kidney damage can sometimes have kidney function deterioration after the zoledronate administration. That's why it's important to drink extra fluid on the day of the infusion. Your doctor may also advise you to stop taking any medication that can affect your kidneys. Zoledronate isn't normally given to people whose kidneys aren't functioning well. Osteonecrosis of the jaw (ulceration in tooth sockets or the gums) – This problem has been found in cancer patients (where they're given high doses of bisphosphonates). It rarely happens in people being treated for osteoporosis. It's often associated with poor oral hygiene and can happen after dental extractions. For this reason, doctors suggest that the infusion is delayed until you've completed any major dental treatment. It's also important to maintain good oral hygiene and have regular dental checks. But if you aren't having any problems with your teeth, you don't need a dental check before having zoledronate. Upper leg fractures – There's a very small risk of unusual leg fractures after longer-term use of zoledronate acid infusions. Your own GP may do your zoledronate infusion or you may be referred to another GP or specialist. The following steps need to be done before you have the infusion. Your doctor will check that you're able to have this type of medication. They'll explain about the medication and what to expect, including possible side effects. Either your doctor or the person performing the infusion will make sure that you're happy to proceed and will ask you to sign a consent form. Your doctor will give you a prescription for the infusion. You'll need to take it to a pharmacy and arrange to pick up the infusion on the day of your procedure. If you need any dental treatment, you should have it done before your infusion. If you haven't had a recent dental check, consider having one and talking to your dentist about the infusion. But if you aren't having any problems with your teeth, this isn't essential. Your doctor will arrange for you have a blood test one week before the infusion. If you aren't already taking vitamin D tablets, your doctor will ask you to take two calciferol (vitamin D) tablets one week before your infusion. You shouldn't take any anti-inflammatory medication (like aspirin or ibuprofen) or diuretic medication (like furosemide or bendroflumethiazide) on the day of your appointment. If you aren't sure whether this applies to any medication you're taking, ask your doctor. Remember to pick up the infusion from your pharmacy. Eat and drink as normal. Also, drink two large glasses of water either before or during the infusion. Take two paracetamol tablets 30 to 60 minutes before your appointment. You'll also be given paracetamol to take regularly for three days after the infusion. See your doctor before attending the appointment if you have any questions about the procedure. Talk to your doctor if you have any other questions about the medicine or your bone condition. Written by Auckland Bone Density. Adapted by HealthInfo clinical advisers. Last reviewed August 2018. Auckland Bone Density. Patient information sheet – Zoledronate (Aclasta). March 2010.